An expansion pack of ACT and SENSE Cubelets. 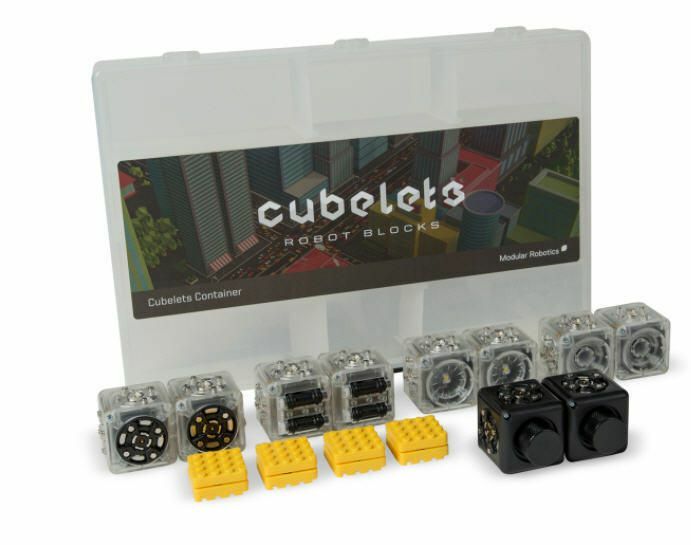 Spin, Flash, Beep, Zoom Kids love using Cubelets® robot blocks to invent robots that move, light and chirp. In a classroom setting, there are never enough ACT blocks to for all the robots kids can imagine. Add hours of action-packed delight for any age group. Link up your Lego® using the clever Cubelets Brick Adapters to create nearly endless robot activities. With 10 extra Cubelets, who knows what our free lesson plans might inspire?.